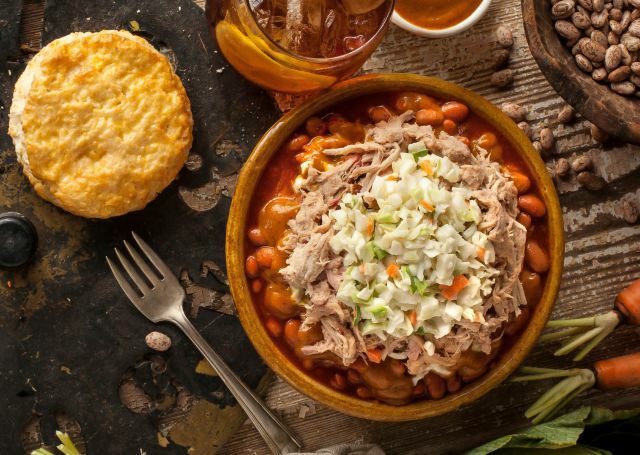 Available for a limited time at participating locations, it features a bowl of Cajun Pintos topped with Sweet-n-Smoky sauce, pulled pork, and a scoop of coleslaw. A biscuit comes on the side. It seems like a twist on your standard bowl of chili. The Pulled Pork Bowl joins the Chicken Rice Bowl, which features Roasted Chicken Bites over Dirty Rice, to round out the chain's bowl selection.